United is proud to introduce an affordable United branded range of electric forklifts to our product offering. 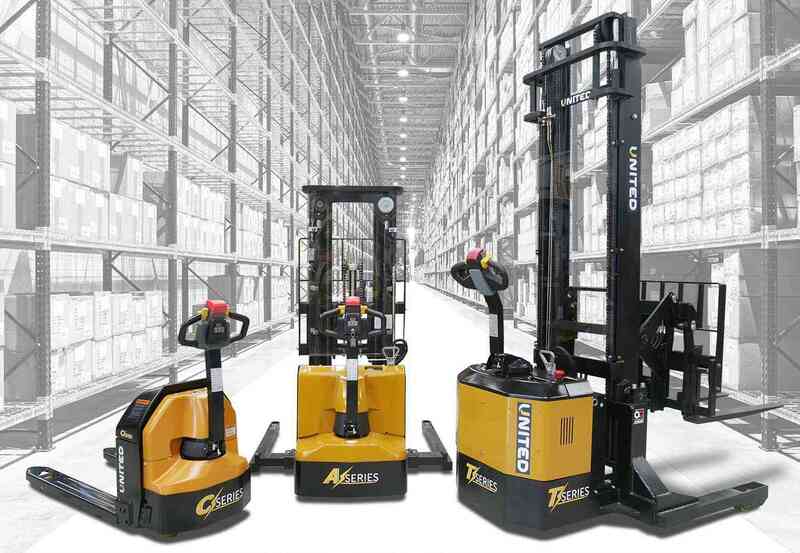 The lift trucks are available in three distinct series – C-Series, A-Series and T-Series. This range of electric forklifts are not only suitable for the Australian environment, but also incorporate quality, strength and reliability in the most demanding workplaces. C-Series pallet trucks bring together an extensive range of various lift capacity models ranging from 1200kg to 2500kg. From the lightweight NPP12E, ideal for lighter duty lifting right up to the NPP25EA which suits heavy duty lifting and increased workloads. All these pallet truck models provide ergonomic characteristics that add comfort for the operator. The smart design also ensures easy maintenance and minimal running costs. 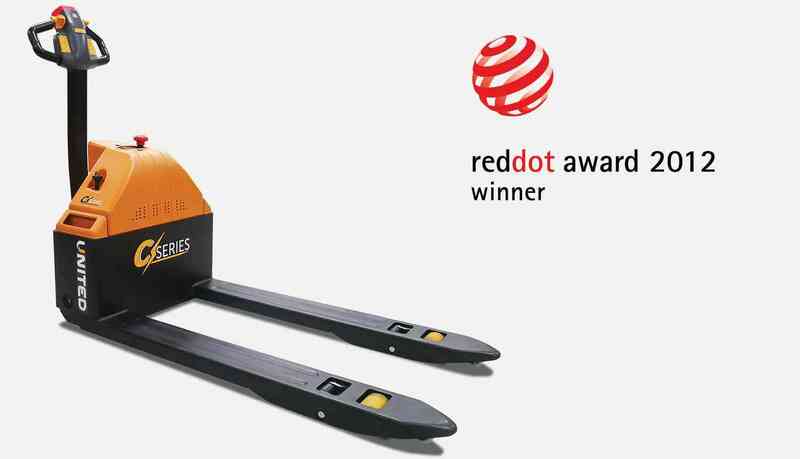 The NPP15E pallet truck also was awarded the prestigious Red Dot Design Award in 2012. A-Series walkie stackers are highly suited for both light and heavy use lifting and stacking. They are available in various capacity straddle leg models from 1200kg to 1800kg. Some electric walkie stacker models also include fully adjustable straddle legs to cater for various sized pallets. Regardless of the lifting demand, all A-Series models deliver low consumption and high reliability through both DC and AC drive motors. Ergonomic features together with smart design also boost comfort and ensure optimal safety for the operator. T-Series walkie reach stackers are the all-rounder forklift truck for any warehouse. Just like the A-Series, they include the same design and benefits that improves efficiency and productivity in any warehouse. Whether they differ is through the inclusion of the reach arm attachment. The reach arms make them the effective solution to handle all types of stacking and loading of pallets, especially double deep. Built on an innovative AC system they deliver strong power, accurate control and excellent performance. Maintenance free AC motors ensure minimal maintenance and lower running costs.